The heroes that spent more than a month tackling the wildfire on Winter Hill are coming together for a thank you concert. Everyone from firefighters and mountain rescue teams to members of the public have been given complementary tickets to the weekend event at Rivington Terraced Gardens. 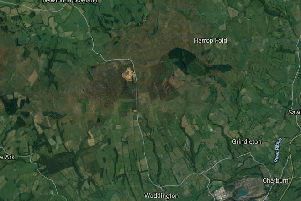 The fire at Winter Hill burnt across seven square miles of moorland from Thursday, June 28 to Wednesday, August 8. Crews and volunteers helped save properties and vital infrastructure. Among them were Bolton Mountain Rescue Team members, who spent 2,100 combined man hours fighting the blaze. The Rivington Gardens Trust also created fire breaks, cleared vegetation, felled trees, and staffed roadblocks to ensure the local community’s safety. John Taylor from Lancashire Fire and Rescue Service said: “The public response to the work of all involved in the Winter Hill moorland fire response has been overwhelming and Rivington Heritage Trust’s ‘Big Thank You’ is a marvellous gesture too. “The recovery phase for Winter Hill is well underway, thanks to the work of local authorities, United Utilities, the Woodlands Trust and all the agencies involved in the process. A total of 12 acts will take to the stage at the terraced gardens including James Holt, Spring Box, and Jordan Allen, running from 2pm to late. The gardens were closed off for several weeks due to the fire, with much of its assets also protected by firefighters and volunteers. The event will raise money for charities nominated by emergency services and volunteer organisations that helped tackle the fire. All proceeds will be split between the Rivington Heritage Trust, The Salvation Army, Mountain Rescue England and Wales, Woodland Trust, The Fire Fighters Chairty, North West Air Ambulance, and the North West Police Benevolent Fund.